I love paint.net!!! I am a web developer and have used this app it since 2006. 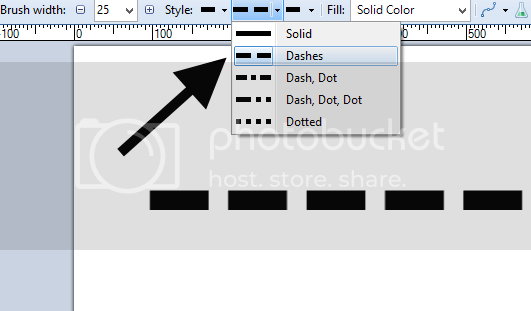 One feature / option I would love to see in a future release would be the ability to set the outline of an object or line object as dashed instead of solid. There is that feature already, find it in the drop down tab when you select your line tool. Not only the line tool, all the new shapes in 4.0 can have these outline styles applied.